ATTENTION: I AM CURRENTLY NOT BREEDING. I AM NOT SURE WHEN I WILL BE BREEDING BUT ALL OF MY BREEDING STOCK WENT TO KIM @ RATTY RAT RATTERY OR CAROL @ BLUE SHUZE RODENTRY. PLEASE CONTACT THEM OR ONE OF THE OTHER BREEDERS ON MY LINKS PAGE. THANKYOU! Fun Family Rodentry is located in beautiful Southern California's East San Diego County. My breeding program is based first and foremost on health and temperament. Then, on the the conformation/type of my beautiful ratties. Last, but NOT least comes color/marking. Overall I strive for the same thing all breeders are striving for, a healthier, friendlier, more beautiful rat. I DO NOT BREED RATS TO SELL FOR RESEARCH, FEEDERS, OR FOR THE BREEDING OF FEEDERS. RATS: I am currently working on only Merle rats. The line has come quite a ways from where they started and is now my only project. I have decided to discontinue all other lines to focus on this line. The merles are just so beautiful and nobody really works on them. I think they are VERY worth the effort. The type on these guys is improving and the personality is as well. The line is not quite as lazy or laid back as id like them to be but they are very nice ratties and make great pets. The health on these guys is great! I have not yet seen something come up in the line. 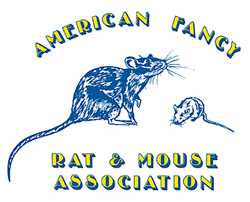 MICE: I am currently working on only Merle, roan, banded and Dove Agouti in mice. The coats I have are standard and satin. Some coat colors I am working on are chocolate, blue, agouti, Recessive Yellow, Black, dove, and dove agouti. I have many plans and goals for all my mice lines but the overall goal for my mice is to improve type and increase size. I AM PRIVATE WITH MY RODENTRY. I BREED TO IMPROVE THE FANCY, I DO NOT WANT TO BE IN THE POLITICS OF THE RODENT BREEDING WORLD. I WILL NOT BUY INTO SLANDER. I LOVE MY RODENTS AND WORK FIRST TO PLEASE THEM, THEN SECOND TO PLEASE PEOPLE. I CAN PROVIDE YOU A FRIENDLY, HEALTHY AND HAPPY RODENT. IF YOU CHOOSE TO BELIEVE SLANDER, SO BE IT. FOR THOSE OF YOU THAT CHOOSE FOR THEMSELVES, THANK YOU.